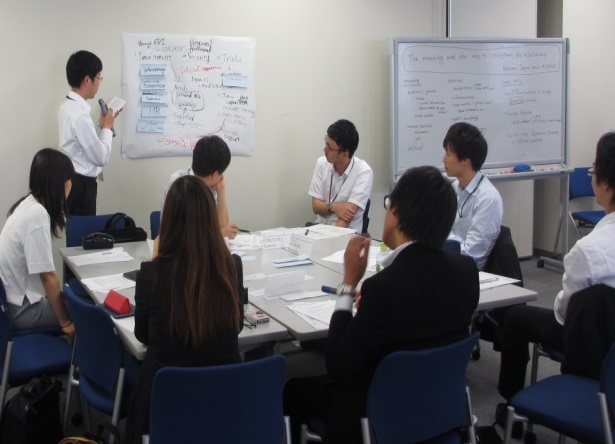 Under the Project for Human Resource Development Scholarship (JDS) sponsored by the Japanese Government, JICE empowers young government leaders from Asia through academic course work and practical training. 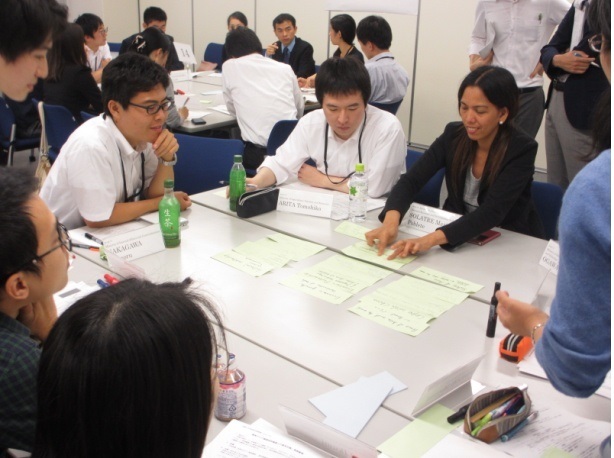 It also aims to build links between these JDS Fellows and their counterparts in the Japanese Government. 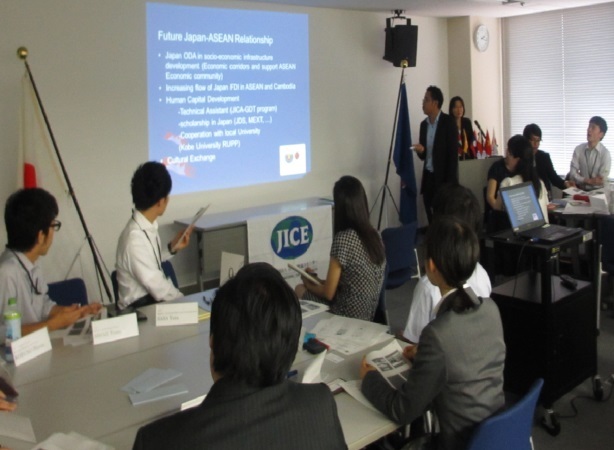 On 21st and 22nd of June, 2016, JICE hosted a joint workshop for 102 young Japanese government administrators who had newly entered national public service and 19 JDS Fellows from ASEAN countries who were also administrators of their home governments. The objective of the workshop was to exchange views on and discuss the ways and means to strengthen the relationships between ASEAN and Japan in various sectors of government”. The workshop began with the presentation by each JDS Fellow about the challenges facing their country and the government followed by the expression of their expectation to the relationship with Japan. The participants were then divided into small groups by sector. Each group exchanged views on the future relationship between ASEAN and Japan and worked out together policy recommendations. This unique opportunity served not only to enrich knowledge of the JDS Fellows but also to develop valuable networks with the Japanese counterparts to pursue their common responsibility of serving the country and people. - We could hear “real” voices of the government people from other countries. These are something you cannot find in the internet or in the literature. - I realized how big influence Japanese ODA has had in ASEAN region and learned what each country expected from Japan. - I learned how to see Japan from a different angle such as from the viewpoint of ASEAN countries. This experience will greatly help me when tackling international issues in the future. - It was great to know that people of each country had a positive impression on Japan. - I will keep the network I built through this workshop and one day I would like to work with them. I wish to have more opportunities to meet and connect with public officials from other countries. - I was very much impressed by the politeness of Japanese government fellows and their sincere attitude towards the discussion. - It was a great opportunity to build networks between young government officials of Japan and the ASEAN countries. I wish there will be more opportunities like this. Looking forward, JICE will further commit ourselves to provide more and valuable opportunities for both JDS Fellows and young Japanese government administrators who are expected to play a leadership role in each country to forge and nurture human networks in cooperation with National Personnel Authority of Japan.